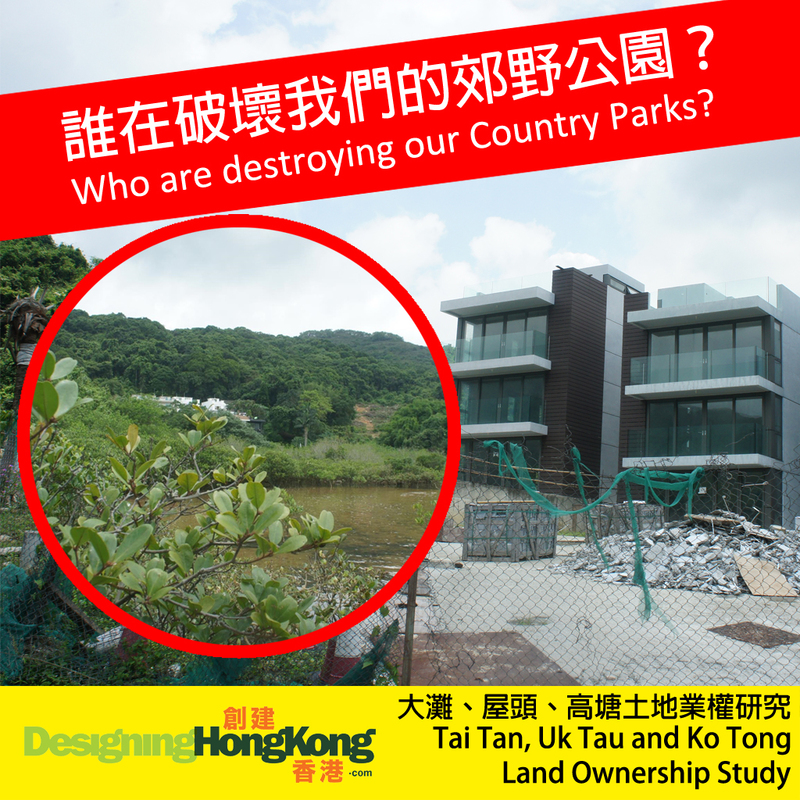 A study of land transactions in Tai Tan, Uk Tau and Ko Tong shows that for more than 50 small house applications to the Lands Department and/or Town Planning Board the land was first bought by developers and transferred to the applicants just prior to their applications. These patterns are strikingly similar to the front man scheme discovered in the Sha Tin Tai Che Village court case (No. DCCC25/2015) during which the Court considered this an illegal practice. 1. Upon receipt of applications for small house developments the Lands Department should consider the transaction history of the site(s) involved. Suspicious cases should be examined in detail. 2. Group applications by “dings” on behalf of developers should be rejected. Only applications made by individual applicants should be considered. 3. The intention of the applicant to live in their small house must be considered including a study of their immigration records to determine whether applicants ordinarily reside in Hong Kong. Only ordinary residents should be allowed to apply. 4. Details of applications for small houses must be made public with an online database showing the applicant, an overview of the land transactions and current status, and the progress of the applications. 5. When considering draft plans and applications, the Town Planning Board and the Planning Department must take into account the land transaction history. This is essential in ensuring that the Board does not aid and abet front men schemes. 6. To prevent government officials from breaching the law, ICAC is drafting recommendations on how the Lands Department can minimize risks when handling applications which create development values. We call for the report to be disclosed to the public. It should not be restricted to the Lands Department. A detailed review should be published so that the general public can better understand how front men schemes can be prevented.